I love the way that starting a new year feels like a fresh start. A chance to look back over the past 365 days to see how much has changed. To celebrate what was achieved, and to identify the areas to focus on in the year ahead. A time to set goals, to have a positive outlook and to feel inspired. The past year has been a busy one for us. After a quiet January the beginning of February saw us becoming a family and from there it was non stop. I've loved (almost) every second of it, and I couldn't be prouder of what I achieved last year. Alongside my own successes Jono became a driving instructor whilst also working full time elsewhere. His hard work paid off, and I am always in awe of his work ethic and determination. Over the past 11 months we have watched our newborn baby become a little boy, and learnt what it means to be parents. We've poured our energy into giving him the best life we can, made sacrifices and felt exhausted after many sleepless nights. Being parents, with three jobs between the two of us as well as this blog on the side we've not had a lot of time to do anything else. With nothing big planned for the year ahead I'm looking forward to taking a step back and slowing down a little. With that in mind I decided that this year I would set myself some smaller goals than usual which I'm hoping will be somewhat achievable. My biggest hope for 2016 is that we find ourselves able to travel. I want to visit my family in Germany who are yet to meet Zach. I want to explore new places, be that here or abroad, and share the experiences with my boys. I want to escape a little further than the bubble I've lived in over the past year. I hope that alongside these goals I am also able to grow my blog in 2016. It's taken a bit of a back seat over the past few months since I've started work. I felt like I lost my voice a little, and I wasn't sure what I wanted to write anymore. If nothing else I plan to use my blog to document the next year of our life, and I hope you'll stick along for the ride! 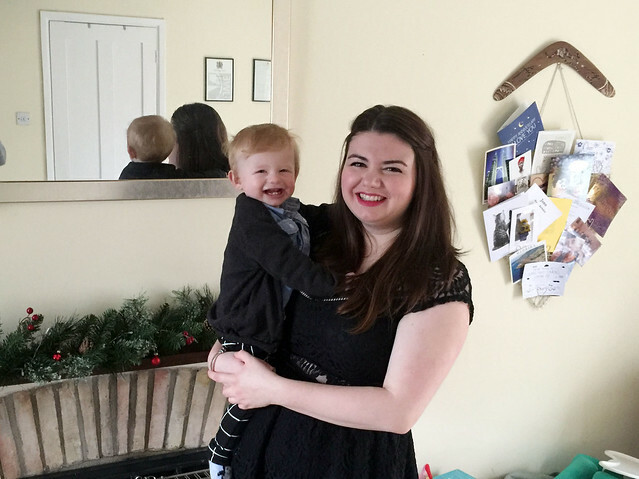 I'm excited to be linking up with Katie from Mummy Daddy Me for the Ordinary Moments for another year! If you haven't done so already then pop over to her blog and have a little nose at her post as well as all of those who have linked up too. Lovely post. I think it's better to set smaller, more personal goals because it makes it so much more achievable. I love the goals you have set yourself!